Our East Brookfield pest control pros know now that spring is in full swing and summer is around the corner, residents of East Brookfield Massachusetts will start seeing an increase in the number of pests found in and around their home. Ants are one of these pests that increase in number in the spring and summer, after keeping a low profile during the cooler winter months. The warm weather triggers ants to forage for food, water and nesting areas. Ants generally forage for food and nesting areas outdoors but will often enter homes through small openings and cracks while on their hunt for sustenance. Ants like pavement ants are considered to be a nuisance pest because they cause no harm to you and do not cause any structural damage to your home. But other species like the carpenter ant are considered to be damaging pests because they are capable of causing major damage to the structure of your home. No matter what types of ants are present they can be particularly difficult to eliminate because you need to locate and get rid of the entire colony, not just the foraging ants found in the kitchen or elsewhere in your home. Finding the nest can be hard to accomplish because it can be located quite some distance from your home. Pavement ants are small ants with their workers being about 1/8th of an inch in length. They are brown to black in color, with lighter color antennae. They tend to build their nests in and under cracks in pavement, sidewalks and they particularly like to invade homes that are built on cement slabs. These ants do have a stinger but hardly ever bite or sting humans. They can invade your home in large numbers as the workers forage for food. Termites use the wood they tunnel through as a food source; carpenter ants DO NOT eat the wood. The waist of the termite is straight, while the ant’s waist is pinched in. Termite bodies are divided into two parts; ants bodies are divided into three parts. Both have two sets of wings; however the termite’s wings are all the same length, while flying ants have front wings that are longer than their hind wings. A termite antenna is straight and beaded; flying ant antennae is bent and continuous. At the first sign of a problem, whether it be carpenter ants or termites, contact the MA pest control pros at Big Blue Bug Solutions right away! 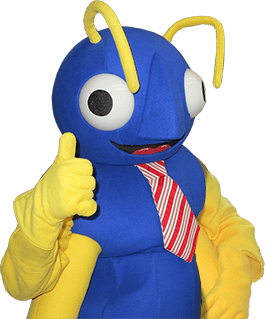 If you need to get rid of ants or any other pest species invading your home or property, Big Blue Bug Solutions can help you. Our home pest control services in East Brookfield are designed to protect your home from nuisance ants and other common household pests, including mice and roaches throughout the whole year, no matter the season. Our residential pest control program consists of an initial inspection and treatment for your current pest problem, followed by three seasonal service visits to help ensure that your home is kept pest free. We also provide our customers with emergency pest control service in case a pest problem arises unexpectedly. If you find yourself with a carpenter ant infestation, Big Blue Bug Solutions can help you out with our carpenter ant control in East Brookfield, MA. Our specially trained technicians will conduct a thorough inspection of your East Brookfield home and make recommendations on how to fix the areas around your home that are attracting carpenter ants. We will then customize a plan to eliminate your current infestations using products specifically designed to safely and effectively get rid of carpenter ants. Big Blue Bug Solutions will then offer you a one-year renewable carpenter ant warranty; contact us today to learn more about our solution for carpenter ants! Inspect your foundation and make sure that any cracks that are present are sealed. Caulk gaps around windows and doors and inspect screens to make sure that they are intact. Seal openings around electric and other utilities entering your home. Keep bushes and trees trimmed back away from your house. Store garbage away from your home. Do not store food out in the open on your counters. For more pest prevention tips, please check out our pest control blog or simply give us a call. Contact us today for more information on any of our pest control solutions and see how we can help your keep your East Brookfield home and/or business pest free!